It’s A Laugh Productions and the Disney Channel are at it again for a new 2013 Disney show called ‘Mighty Med’. Tryouts for the cast of the new Disney show are beginning. Disney casting directors are in the process of finding the cast which includes the starring roles and the supporting roles for the show. The Disney casting directors are now searching for the 3 teens that will get the leading roles, 2 teen boys and 1 teen girl. Disney’s ‘Mighty Med’ is currently in the casting and pre-production stage and will begin filming in February 2013 with the shows premiere also being later in 2013. The new Disney show is boy oriented and will eventually air on Disney’s sister network, Disney XD. The new show will be executive produced by Jim Bernstein and Andrew Schwartz. The 2 men have worked on numerous shows for both Disney Channel and Nickelodeon. At the moment the new Disney show is auditioning the main cast as well other recurring roles. In 2013 when the show begins filming, extras and stand-ins will be cast to fill the scenes. The extras casting for Disney will be done by Central casting. If you are interested in being a Disney show extra, you will need to register with Central Casting in Los Angeles. To register to be an extra you will most likely need to come into their office, then once filming begins, extras will be selected from the people that they have registered on their books. Mighty Med has the word Med in the title because it is a show that centers on a hospital. Not just any hospital, but a hospital that treats super heroes. Mighty Med is about comic books and comic book super heroes. Mighty Med is about two very close friends named Kaz and Oliver and a comic book superhero. The 2 boys are big fans of comics and as such go to work in a super secret clinic for super heroes. At the hospital they are now working at, Kaz and Oliver meet Skyler Storm. Skyler Storm is in the hospital because a villian named The Vulture, worked his Voodoo and erased her super powers. After Kaz and Oliver meet Skylar, they decide that they must help her regain the super powers that Skylar had lost. The 3 characters set out on an adventure with Skylar as they also hold their new jobs at the super hero hospital. Disney’s new 1/ 2 hour comedy series, The Mighty Med is in the works now and those wanting their chance at a spot in the cast need to act quickly! I would be blessed and humbled by this opportunity. Hi i would love to be on this show. I’m 14 years old and I love to act. All my friends say I’m funny and a nice person. It would be so cool to be on mighty med. I would give you 100% on everything I do, even if it was a tiny role. I’m Sterlisha I’m ten, my talent is acting and dancing and I’m a good reader. I always get picked to be in plays and I’m always in talent shows, some people judge me by my age but it’s alright. Hi! I am a charismatic 15 year old that enjoys acting. I would really like to try out for `Mighty Med’! I can speak English, Spanish, French and Greek and I have been in school plays. I Play sports such as soccer & volleyball. I’m a very happy and funny person. I’m 15 years old, Height:5’3, Hispanic, Hazel eyes, long honey brown hair. I love Acting, it’s a fun thing to to. But I also take it serious. If I fit in for any shows please let me know as soon as possible. Thanks for your time. I am an experienced beginner and I would love to try out for this show. I live in Atlanta, I am 5’1, 120 pounds, African American. THIS IS AN APPLICATION FILLED OUT BY THE LATEST MODELING APPLICATION PLEASE CONTACT THE FOLLOWING EMAIL ADDRESS AS GIVEN. I am 13 years old in the eighth grade. Grades are good. Very outgoing, Acting seems so passionate and I like it. It gives you more faith in yourself. I am taking a specialized high school test for laguardia to get into acting and if I can get a chance to be on tv, it would be my dream. My dream is to act on Disney channel and Disney XD. I play extra roles in big time films. I have always watched Disney XD and Disney channel every day. Hi, I’m Diadem. 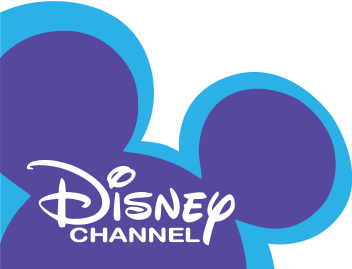 I just wanna say I’d love to be on Disney channel or Disney XD. It’s been my dream since I was little. I can play a part as anything, even an extra that nobody knows. All I want to be is on Disney and be an actress. People say it can happen but I BELIEVE it can happen. So please, please, please let me on the show. PLEASE! People say it can’t happen. PS: No matter how your heart is grieving if you keep on believing your dreams will come true. Just give me a chance because I am really good at it and I want to be on mighty med. Hi my name is Mindy, age 11, acting is my dream. It is like the only thing I am good at. I am not taking classes yet, but I will start. I have been in a lot of plays. I would love to be in any t.v shows, movies or commercials. I don’t care if I am an extra. I would be happy with any place you would put me. I would love to be in this show! Hi I’m Shannen this show sounds like a lot of fun and I would love to get the chance to audition for it if you give me the chance. I sing, act and dance. I am also in a Performing arts school. I have alway loved to act and perform. I feel most comfortable when I’m acting and Performing. I’m also 17 years old and would love a chance like this to show everyone what I can do. I am 12 turning 13 this year I am a pretty good actor. I am 115 pounds and have blonde hair. I would really want to be in Mighty Med. Specials: I’ve been an actor and danger since I was little. Would love to have a chance in new Disney idea. Taken a lot of acting classes. Experienced in any type of character. plays clarinet, volleyball, track and field. Also do drawing, speech and spelling. I would love to be in the show I would appreciate a lead but I would also be fine as an extra! Hi, My name is Darquise Winters. I am trying to audition for the part of Kaz. I am 13 and very athletic, intelligent, especially fun to be around making people laugh. I am serious for when it comes down to certain things, for example, school,family, etc. It will be my first time acting but, even so I feel that I have a need to not quit on something when I put my mind to it. I am 5’5 tall, weight is 102, and my skin tone is medium brown.